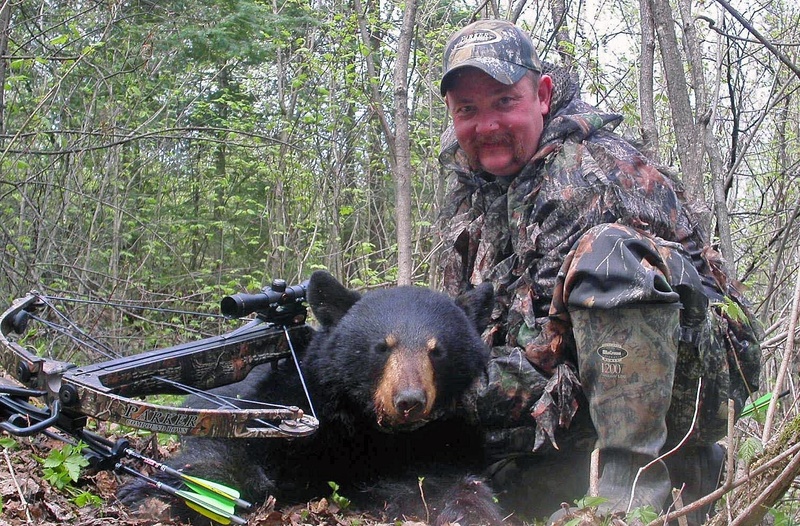 “Bear” Kelly with a nice Quebec black bear. You’ve hiked through the most rugged, pristine countryside on the planet. Now, all you have to do is wait. And then, the moment you’ve been waiting for. A large black bear. He’s got to be close to 500 pounds. You raise your bow, aim … it’s the ultimate adrenaline rush. Whether you are new to crossbow hunting or a seasoned veteran, one thing is certain: After taking a few whitetails, you’ll find yourself daydreaming about taking a trip somewhere away from your home state to chase a critter you can’t find in your neck of the woods. Below are three species of animals that are fun to chase, relatively inexpensive to hunt and can be a crossbow hunters’ dream come true. Almost every American hunter dreams of chasing black bears in the United States or Canada. Black bears can be big and often offer close-shot opportunities, which is great for crossbow hunters. Plus, they are abundant so you have a good chance of tagging one. One of my favorite places to hunt bears is in Quebec. This Canadian province has many bears and many outfitters that offer relatively affordable hunts. You won’t have any trouble finding a good outfitter that offers a week-long bear hunt, complete with a place to stay and plenty of baited bear stations, for less than $1,500. 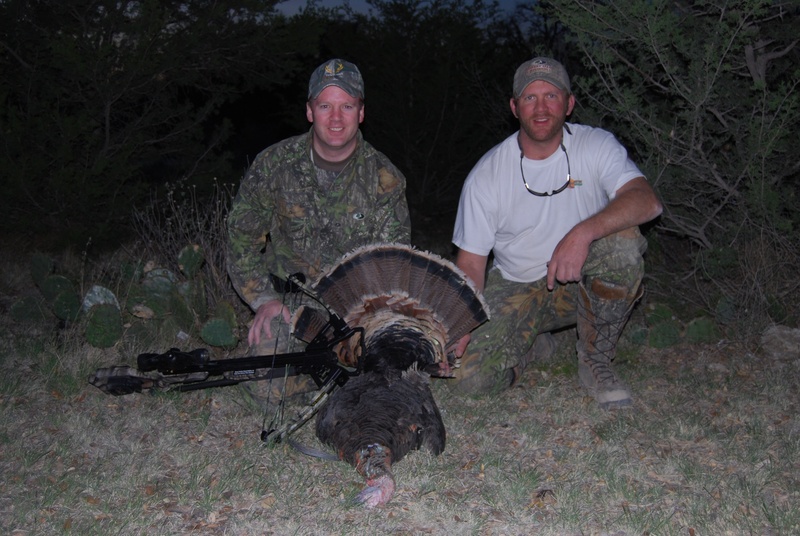 Randy Wood, of TenPoint, with a Texas longbeard. Several years ago, a few friends and I bowhunted and crossbow hunted in Quebec. We paid about $1,000 each and all but of the 10 hunters shot a bear. You don’t need an accountant to figure out that is almost a 100-percent success rate. The great thing about bear hunting with a crossbow is if you end up hunting over bait, the average bait pile is less than 20 yards from the treestand so you can expect up-close-and-personal shot opportunities, which makes it easier to make a good shot. It’s also an amazing adrenaline rush! One thing to consider before going bear hunting is that bears often look much larger than they are. Everyone goes on a bear hunt wanting to shoot a 500-pounder. When a bear steps into the bait pile, they let the bolt fly only to discover after they walk up on the bear that it is 150 pounds and looks like a black lab. Black bears have lots of hair and can easily deceive a first-time bear hunter. • If the ears look extremely large in comparison to the size of the head of the bear, it is probably a small bear. • A large bear is typically as tall as a 55-gallon drum, which is often at bait stations full of food. • If a bear has to stand up on its hind legs to look in to a drum or to tip it over, it is a smaller bear. Another important thing to note is shot placement. A bear’s long hair and shorter body often cause the hunter to shoot further back on a bear’s body, resulting in a poor hit. Dennis Jones with a Colorado cow elk. Find the best aiming spot on a bear by following a line up the center of the nearest front leg to a point one-third to halfway up the chest. A bear’s shoulder is farther forward than other deer-like animals and the shoulder bones form a tighter angle. As a result, the aiming point is slightly farther back from the shoulder than a deer. Before leaving on a bear hunt, study the anatomy of a bear online or look at a bear target to familiarize yourself with their body. Another great crossbow adventure is elk hunting. Getting within crossbow range of a bugling bull elk can require good calling skills, great spot and stalk skills and a little luck, but there is nothing like being eyeball-to-eyeball with a bugling bull in the middle of the rut. The Western Mountains are full of wild places, and spending time in those wild places is enjoyable. One of my favorite ways to hunt elk is via backpack in the backcountry. I leave the truck and worries of daily life behind and spend a week or more chasing elk with the food on my back, a good tent and a few hunting buddies. 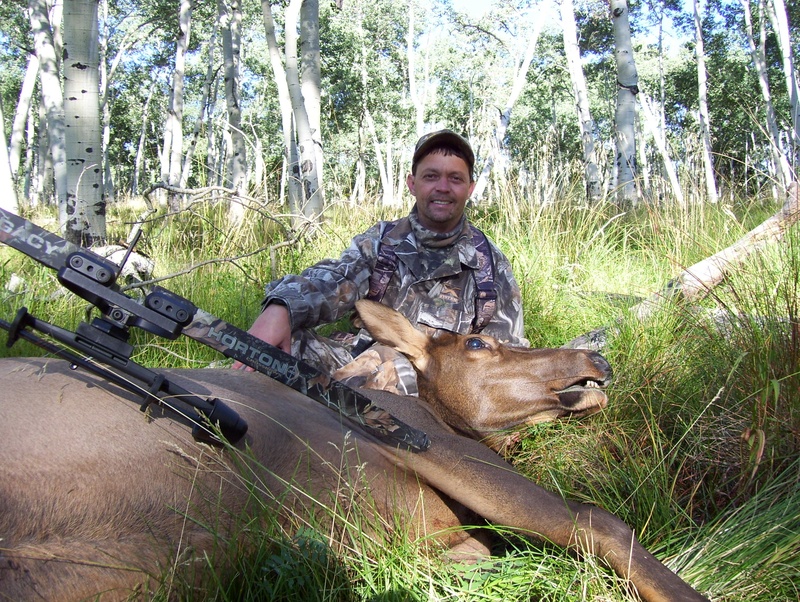 Modern day crossbows tipped with an extra sharp broadhead can quickly bring down an elk. Just ask Dennis Jones. Jones is the son of Keith Jones, who works at Summit Treestands in Alabama. Every year the Summit Treestand crew heads to Colorado to hunt elk. Dennis is disabled from an automobile accident. Hs dad took him to Colorado, and his trusty Horton crossbow got the job done. The full story is in the Crossbows Fall 2011 issue. This entry was posted in Uncategorized and tagged Black bears, Crossbow hunting, Elk, Elk hunting. Bookmark the permalink.